Thinking Critically about Society Spring Seminar Series Announced! A gathering of thinkers, scholars, and writers to discuss the topic of Black Feminism through the works of Audre Lorde, Patricia Hill Collins, and many more. 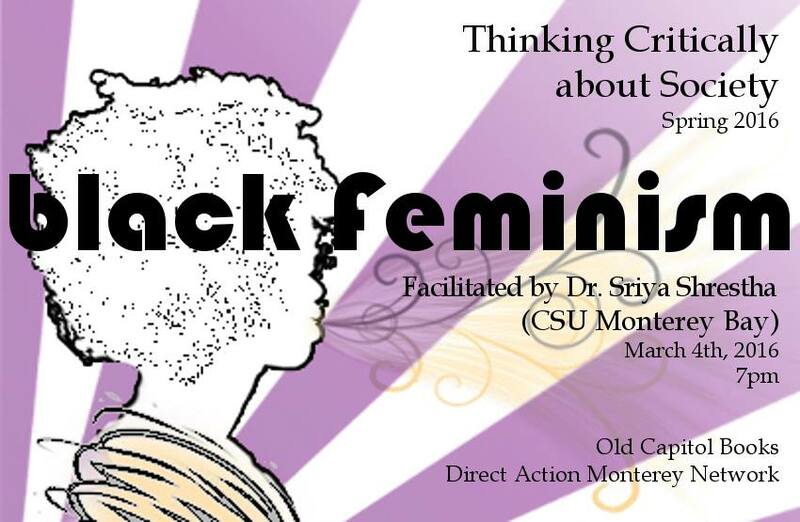 Facilitated by Dr. Sriya Shrestha of CSU Monterey Bay. Come read key texts from the political theorists, anarchists, and avant-garde artists that made up the Situationist International movement from 1957 to 1972. Particular attention will be paid to Guy Dubord’s situationalist text and contextualizing essays. Facilitated by Ben Wilson. This seminar will focus on colonial and post-colonial studies, with readings from Edward Said and Ania Looma. Facilitated by Dr. Sriya Shrestha of CSU Monterey Bay. For this session of the seminar series, we will turn our attention to the intersections of disability, prejudice, and “disabilism”. Facilitated by Ali Elfaki.